So, here’s the thing. We’ve been living in our house for a year and a half now, in blissful ignorance. I thought my home was perfect. I thought my house was kept up pretty well until one day my world came crashing down on me. I had house guests coming to stay with us, so I went into the guest bathroom to make sure the bathroom was stocked with all necessary toiletries. I hardly ever go into this bathroom and when I walked in this time, it hit me. I saw how clean the grout in the tiles looked compared to the rest of the house. My entire downstairs floor and the upstairs bathrooms have tiles, but they all looked filthy compared to this barely used bathroom. I needed to do something fast, but I didn’t want to spend too much money to get the job done. 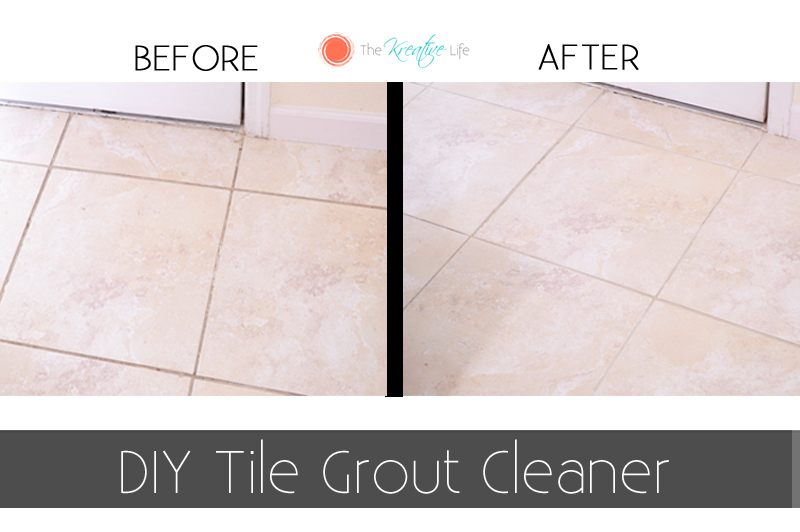 My DIY Tile Grout Cleaner took care of my problem and now all of my floors look gorgeous! Getting the cleaner ready was easy. I had everything I needed right in my house and there are no harsh chemicals. Add the water, vinegar, lemon juice, and baking soda in the bottle. Shake well. Spray the grout with the mixture. Allow to set for two minutes. Using the brush, gently scrub the grout. I was shocked at how much dirt and grime came up. I also noticed that some of my tiles need to be re-grouted. You can see the difference already. When all of the grout is scrubbed, use a mop to get up the remaining liquid. Once the floor is dry your tiles and grout will look just like new. 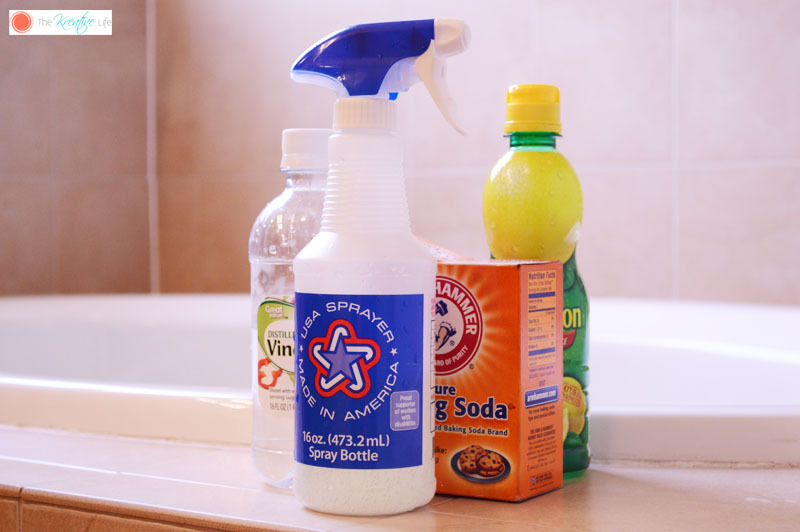 Do you have any money-saving household cleaning secrets like my DIY Tile Grout Cleaner? I know what you mean. I lived in a rental house I thought I kept clean. One day my husband spilt some vinegar while cooking. He didn’t clean it up until after he finished cooking. I couldn’t believe the difference in the floor. The floor was suppose to be a whole different color than I thought. I have to do this in my house. Than you for sharing it! I have tile in my kitchen and baths. I need to do this in the next year. What a money saver! That looks like a pretty amazing DIY cleaner! I need to give this one a try. Gotta get those stuff and start mixing. The dreaded dirt in the bathroom tiles! This is why I love homemade cleaners, they’re really effective and you have the ingredients at home! No need to run to the grocery. Thanks for this recipe! This looks like a safe and friendly cleaner. I hate using things loaded with chemicals around my kids. That is great! I love how it turned out. I need to tell my father about this. He has tile too and it could use some great cleaning. I had that revelation over here too. The guest bath was sparkling clean and I was pretty appalled at the others! I don’t know about me going down there to clean any grout but I like to see when that area is clean. I love DIY and natural products so that might make me change my mind….NAH..
Might as well try this. Our bathroom tiles badly need this. 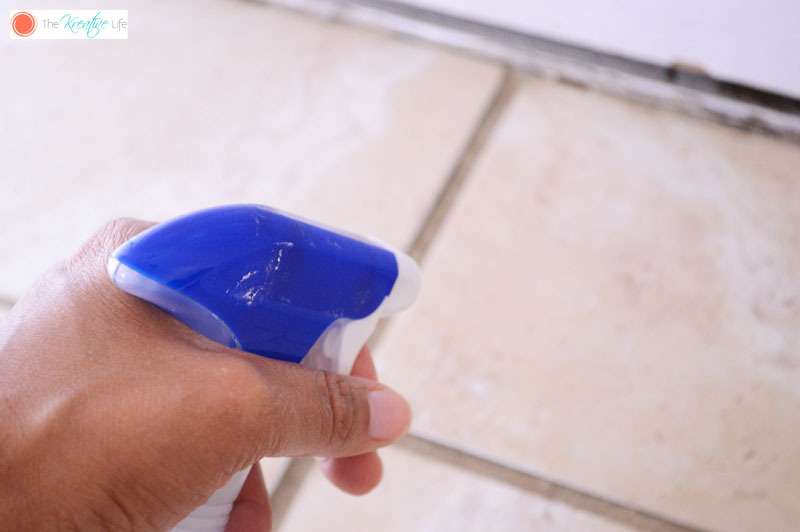 Do not forget to RESEAL the grout after you do this. How well does this work? 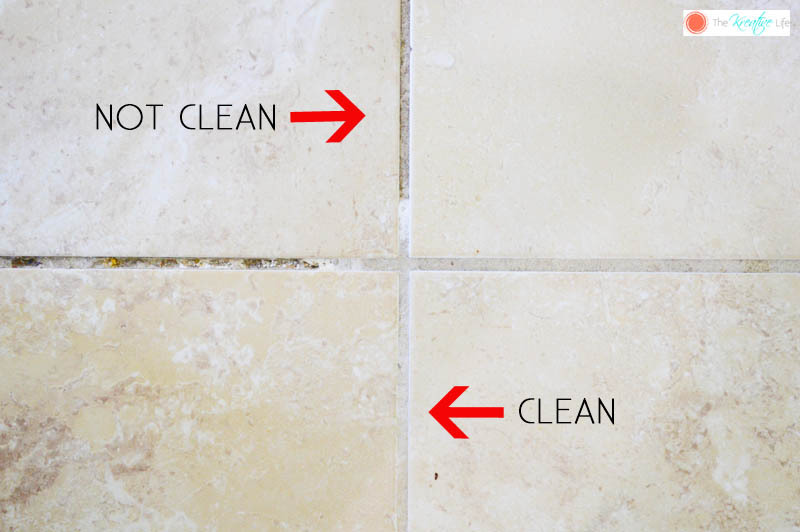 I’ve tried so many DIY tile and grout cleaners over the years and have never had great results. As of right now, I’ve been using a professional tile and grout cleaning company, and they provide the best results I’ve ever seen. After each visit, all of my floors, tiles, and grout look absolutely stunning! Hi, David! This grout cleaner works great and is very affordable. I agree, Rebekah! It’s always the best approach! Baking soda and vinegar is the best cleaner you can try in your home. Almost all stains can be removed with this solution. 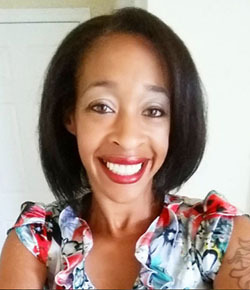 Great article Kendra! Hi, Filip! Thank you! I like using a baking soda and vinegar combo for a lot of my household cleaning. This works really well. I hope you and your mom find it useful too. Thank you for stopping by, Mandy! For a good tiling of your home. It is wise to use good adhesives and glue for it. Wow, excellent article. Thanks for your job! I’ve perpetually just had my tile and grout cleaned by Chem-Dry when they come to do the carpets, but I’m inspired to try out your acceptable resolution! Oh wow what a solution! I’ve been looking for home solutions to grout and i’ve tried everything. I hope this works for me. Seeing the people commenting here, it seems that it really works! Will try immediately. Hi, Alaine! You should try it. I hope it works well for you! Tile grout is always annoying to me. Thanks for sharing great tips!! The Kreative Life Thanks for sharing important tips to clean the tiles with best cleaner. I will Follow these tips. I truly appreciate your work! This post is amazing, i will certainly be trying these tips. soda or white vinegar is Mix with distilled water is an Eco-friendly solution. great information it is. 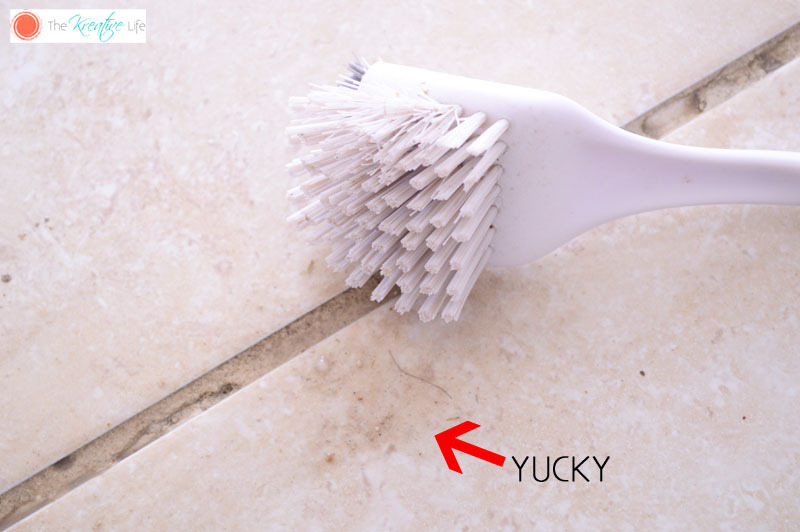 Natural tile grout cleaner! I definitely have to try this out in my bathroom. Maybe this will be the solution to those stubborn stains within the grout lines.